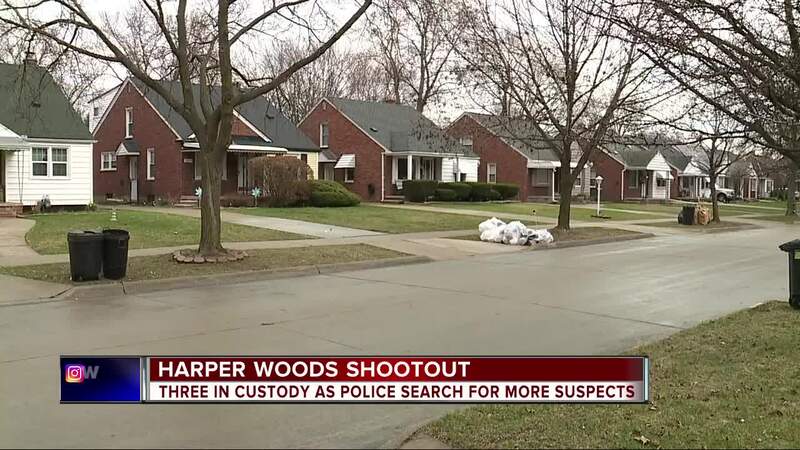 HARPER WOODS, Mich. (WXYZ) — Police have begun an investigation in a Harper Woods neighborhood after multiple gunshots were fired Thursday evening. According to the Harper Woods Police Department, at 7:24, officers responded to a home in the 19700 block of Damman on reports of multiple gunshots being fired. When police arrived on the scene, there were people fleeing. Once officers gained control of the scene, they recovered at least 20 shell casings from different weapons at the home and in the street. There were no reported victims of the shooting. Harper Woods police have arrested three suspects, and are actively searching for several additional suspects, according to a release. Two homes in the area did sustain damage from the gunshots. If you have information on this incident, contact Harper Woods police at (313) 343-2530.